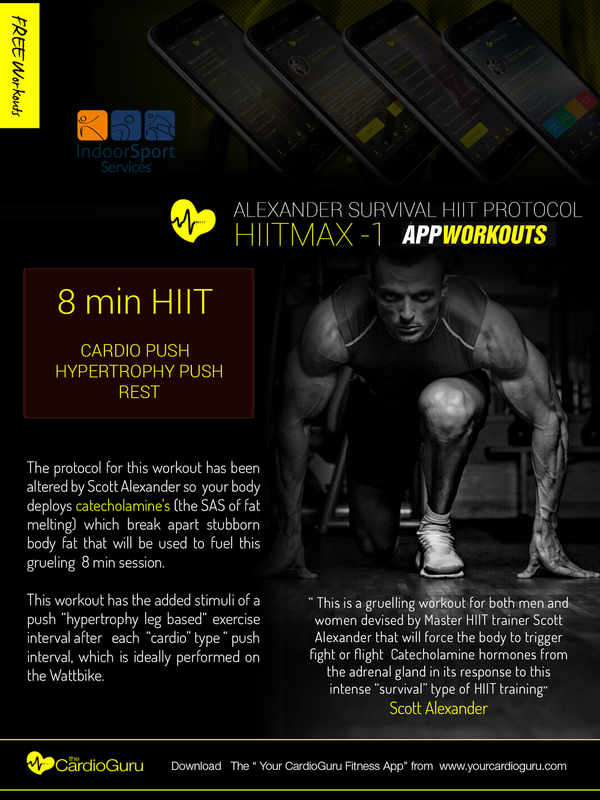 Scott Alexander wants YOU to succeed and offers various packages to make that happen. 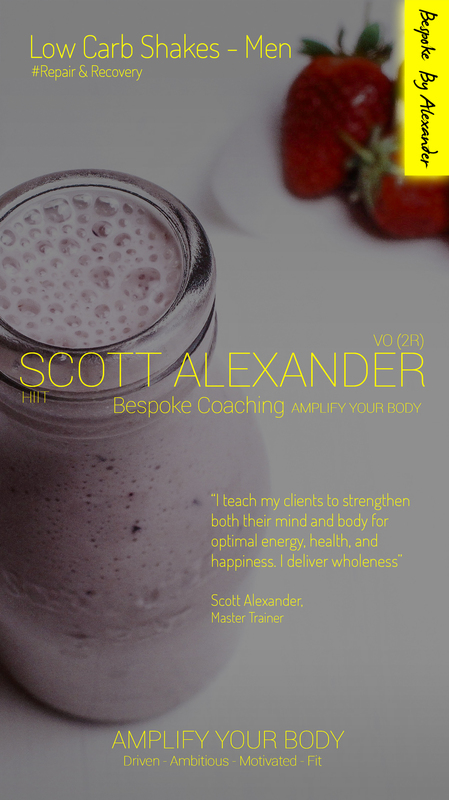 At the core of Scott's approach is that even the most basic package will be tailor made for you, the individual by Scott Alexander himself. 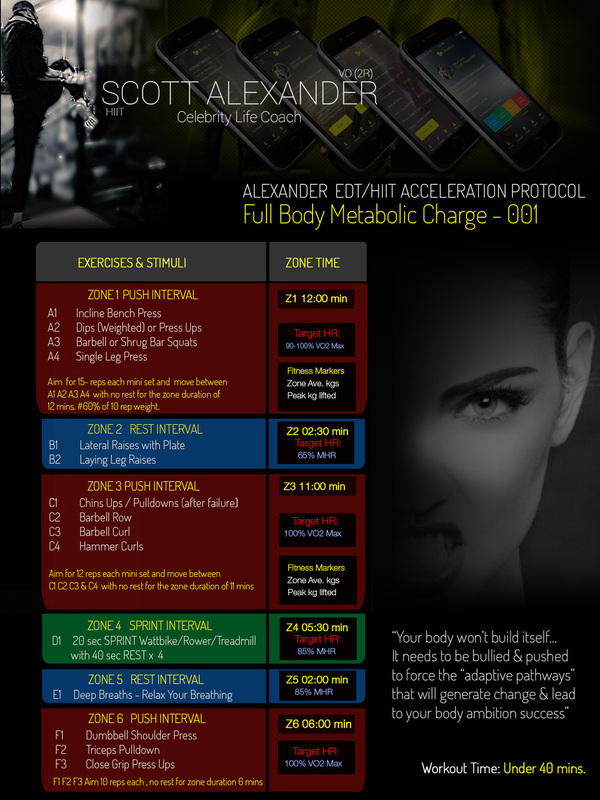 All clients will speak directly with Scott so that an accurate assessment can be made to ensure each client is put onto the right training program that has "action" markers, progressive challenge stimuli and that results can be logged and progress checks can be made through evaluation of facts not guess work. 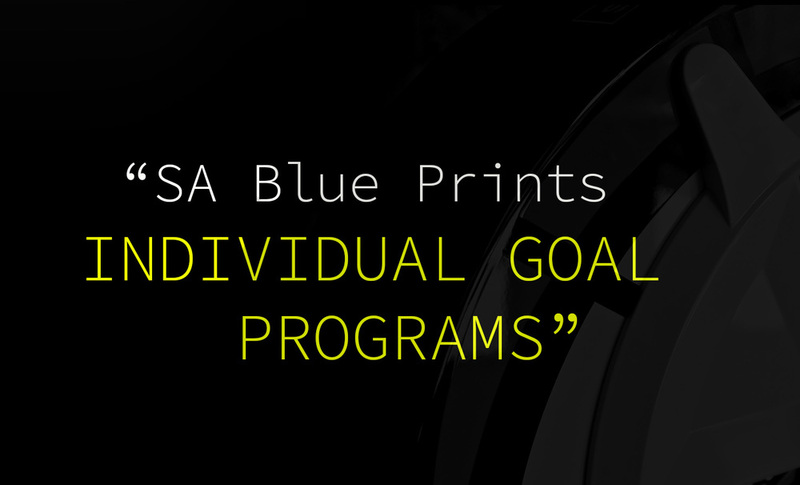 You can choose an entry option known as "SA Blueprints" which are training/diet programs that have proven goal driven results. 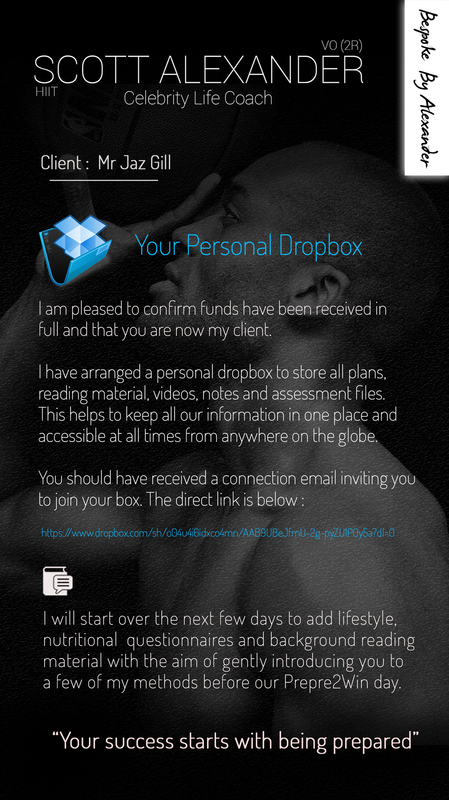 These are tweaked and customised by Scott from Skype consultations and questionnaires, and start at £500. 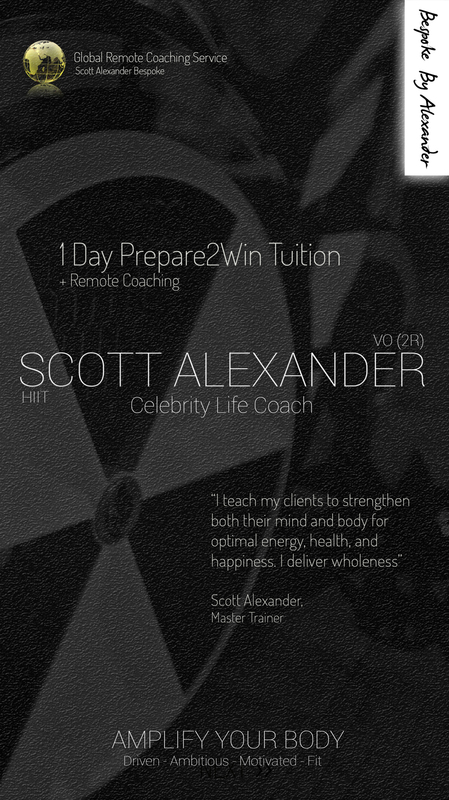 Scott then offers his "Prepare2Win" package which is his most popular service with his CEO/doctor and broker clients. 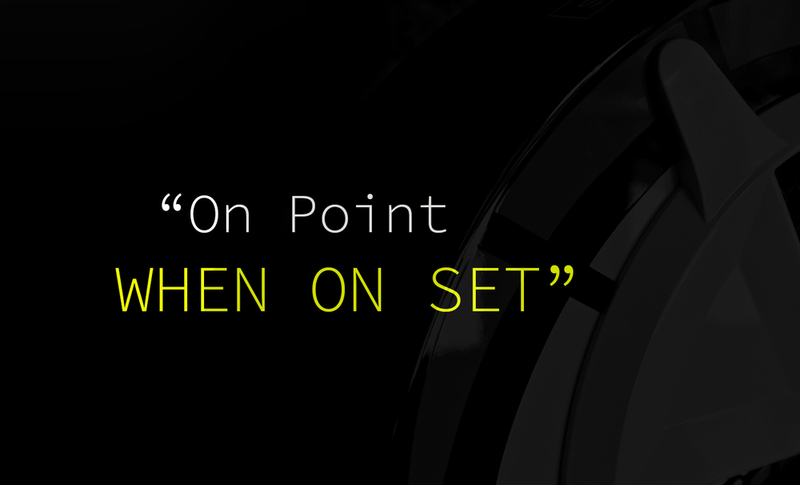 This is a bespoke and tailored solution. You spend a full day with Scott having expert tuition, lectures and "motivational" talks on all the key elements that you need to understand to gain "control", so that you may "succeed" on the journey ahead. On the day you will be taken through a full baseline fitness assessment and given expert coaching on the Wattbike and training for hypertrophy. Scott will then remote coach you for 4 weeks, and you may "top up" with OneOnOne coaching with Scott at his Mayfair studio. 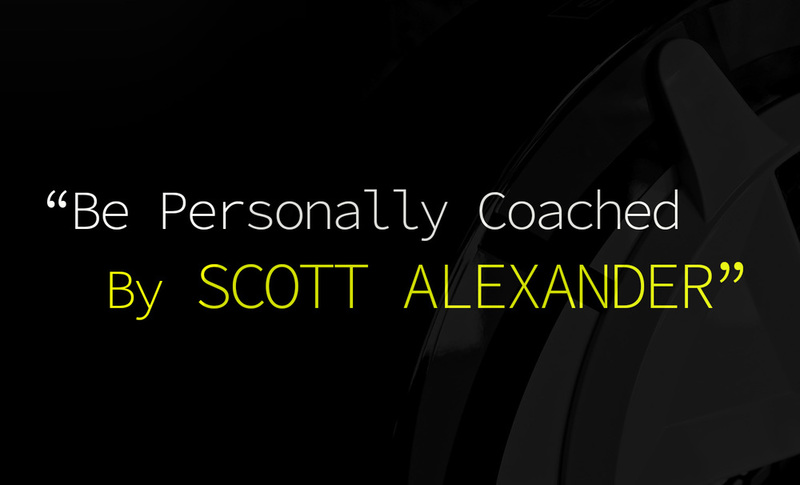 Clients typically extend with Scott for 3-6 months on this service, whilst others like the accountability and Scott's on tap expertise and elect year round coaching. Fees range from £2k upwards. "Bespoke Black" Success is a formality. 18 years. That is a long time, right? Well that is how long I have been training and most of that time I thought I knew what I was doing and doing it well. At 36, I realized that half of my life and all of my training had been based on a lot of bro science and not much reality. I had been following Scott Alexander for a few years and was intrigued by the idea that cardio was the key. For me, cardio was not in my vocabulary unless it was playing hockey. Getting on a treadmill or an elliptical was not part of my gym routine and from all that bro science I knew that cardio burned my hard earned muscle, so why would I do it? Well earlier this year, I reached out to Scott about remote training since I’m in the USA. Scott was tremendous from the beginning. We worked together for 3 months and he revolutionized my ideology on training, cardio and nutrition.I always thought of myself as a “student of the game” trying to learn as much as possible from all the sources I could. For the 3 months I followed his system and the results were outstanding. I managed to get my body fat for the first time below 10% (Bod Pod Reading) & increase my VO2 Max score by 39%! I’m still following the Alexander Bespoke method of training, cardio and nutrition and the results speak for themselves. Friends who have seen me go through my “bulking phase” and my “lean phase” keep asking me what’s the new supplement I’m taking or new lifting system I’m doing. They do not believe it when I tell them I do a ton of cardio (just the right type now), eat a diet that’s high in protein, fat and low in carbs and lift 3-4x a week instead of 6. The only thing missing from my training repertoire is a Watt Bike but that will be here in 2016 and along with it even better results. Lastly, I have to say I was a client of Scott’s for 3 months but the most impressive thing that I learned was not during those 3 months but after. Scott still takes the time to answer questions that I have that come up and help with changes I need to incorporate because of unplanned life events. That is one of the most impressive things I learned about Scott and The Alexander Bespoke system, he is concerned and interested in getting his clients the best results possible, no matter what. Whoever is tired of cookie cutter programs and “diets” – I tried all of them too, not getting the physique you want and fed up wasting your time, money and energy trying to get the results you have been wanting needs to work with Scott Alexander. There is nothing holding you back except your determination to get to the next level.